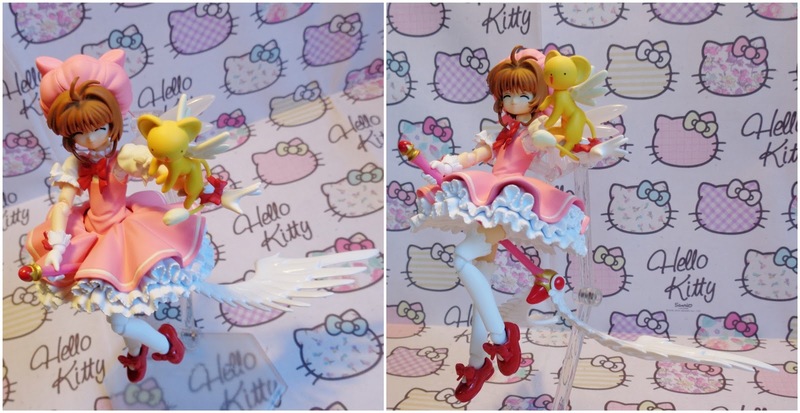 Sakura Kinomoto is the namesake of the series Cardcaptor Sakura a story which revolves around her needing to capture and later transform the Clow Cards, cards which contain magical entities created by Clow Reid. Sakura despite being a little naive and clueless at time is a caring and loyal friend. As far as paint goes for the most part she is what you would expect from a figma with fine details well executed and no miss-paints, however as you can see below mine came with some paint-chipping on the wings and a random dent in the paint of the Sealing Wand. That was rather disappointing as these are not issues one would expect from figma or any high quality figure line. 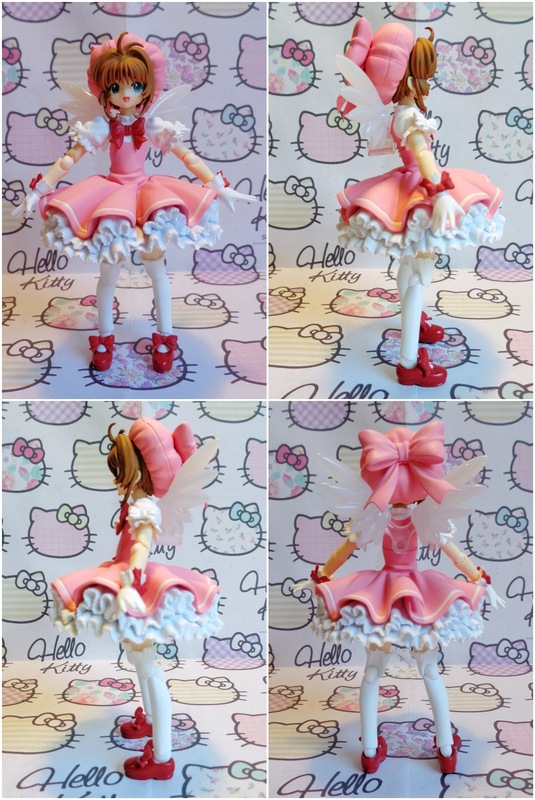 The sculpt however is spot on, the frills on her skirt look great and I love all of the wrinkles and folds, it really brings it alive. I also like how you can move the cuffs of her gloves around and the sleeves of her dress allowing you to hide joints while posing. As for articulation she uses all the standard joints and as per usual in only a few places is her movement restricted by the sculpt. She cannot look up very far, her upper chest joint is useless despite her top being made of soft plastic, and her skirt limits a little of her leg movement, all of which are common problems with figmas. Extra articulation includes her skirt which is in two sections each with their own joint and they allow only a small amount of movement revealing a special indent in her skirt so that she can ride her wand when using Fly. 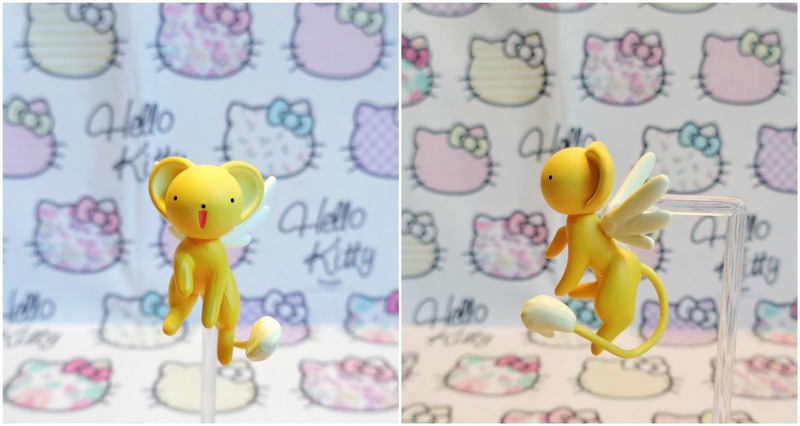 The first accessory Sakura comes with is Cerberus a.k.a Kero and he is super cute, sculpted as if hovering in the air and his head is articulated by a ball and socket joint so he can look this way and that which is great. 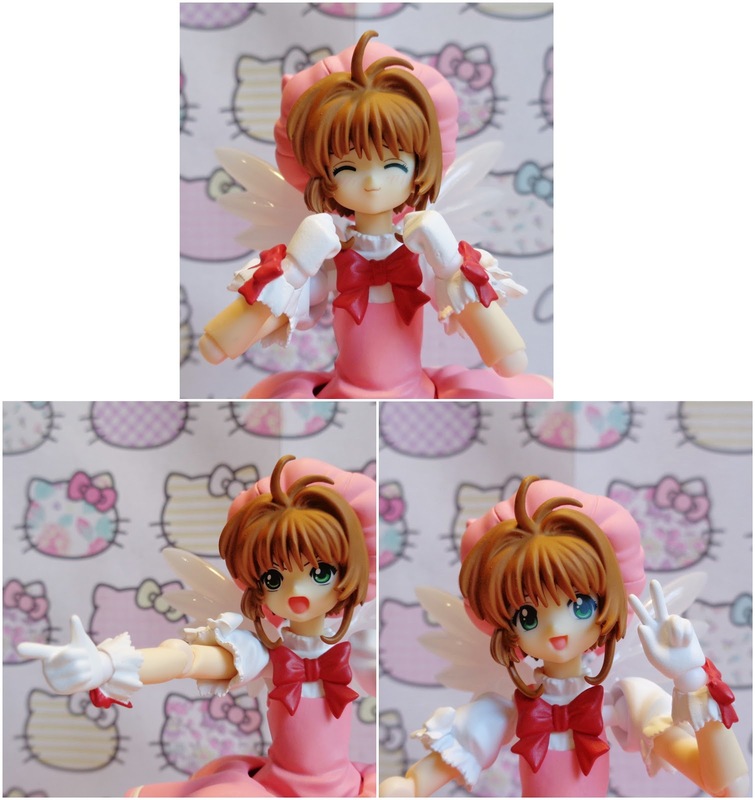 Next up are the three face pieces Sakura comes with, the default happy face, a very happy face, and a battle face. 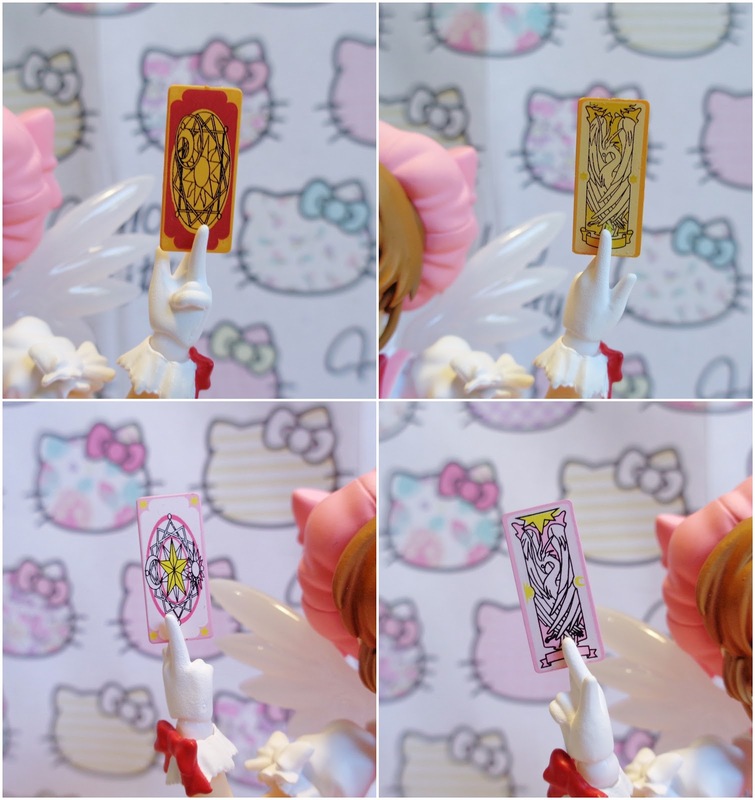 As for hands you get open hands as default, a pair of fists, hands for holding items, a pointing hand, hands for holding her cards, and a hand doing the victory sign. For cards you not only get the Clow Card version of Fly but also the Sakura Card version and these cards are very well detailed and I am glad to see that the card is specific and my hope is that with each new version of Sakura that you will get a new card and some outworking of that card. 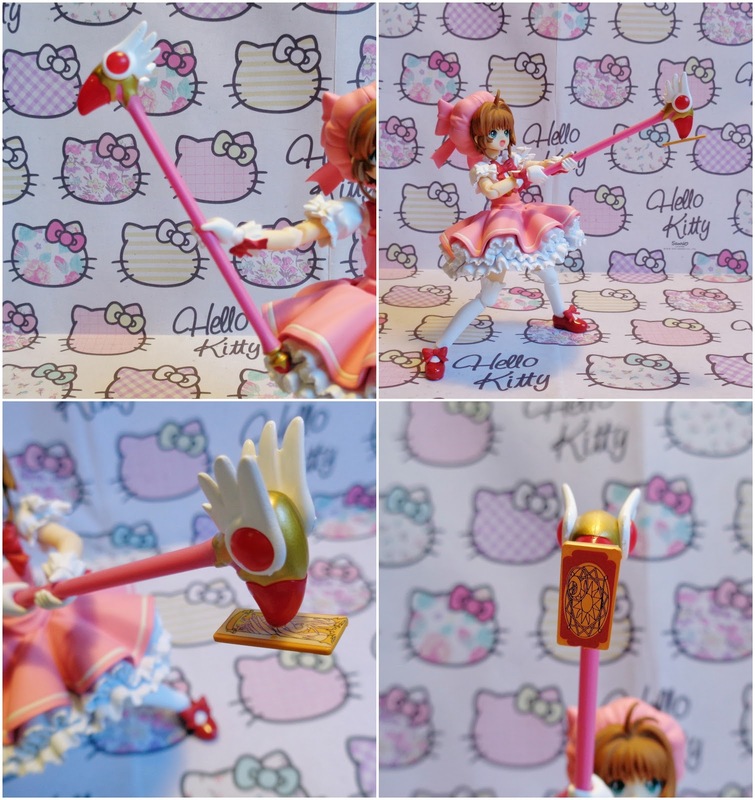 To go along with the Clow Card you get her Sealing Wand which has an alternative end on which you can plug yet another Fly card in order to pose her as capturing it. Then there are the wings which attach to the wand in order to simulate the Fly card in action. 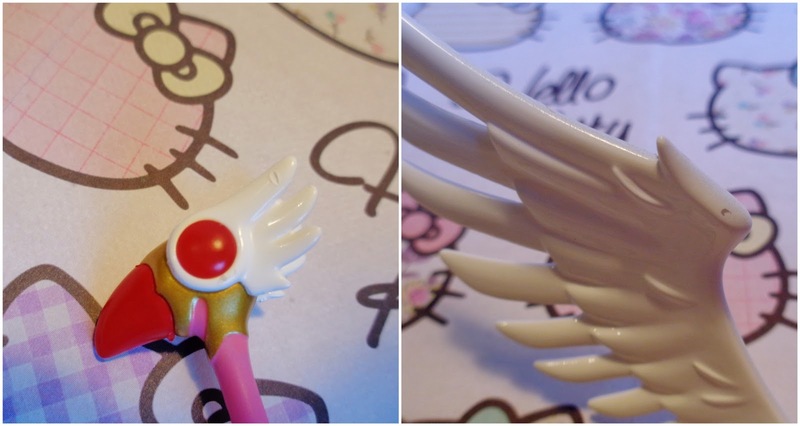 And lastly there is her Star Wand and to accompany it you get a special clear piece and two white pegs in order to attach the wings to Sakura's back as they do when she uses the Fly Card once its become a Sakura Card. Now unlike the Sealing Wand the white pegs where too large for the wings thus to get them working I had to use a small blade to whittle off some of the plastic and from what I can gather this is a problem other collectors have experienced. 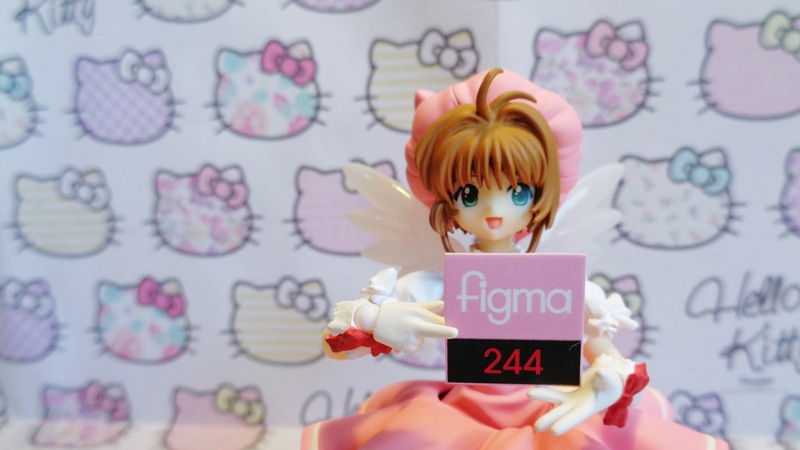 Once again this is not something you would expect to occur with a figma. 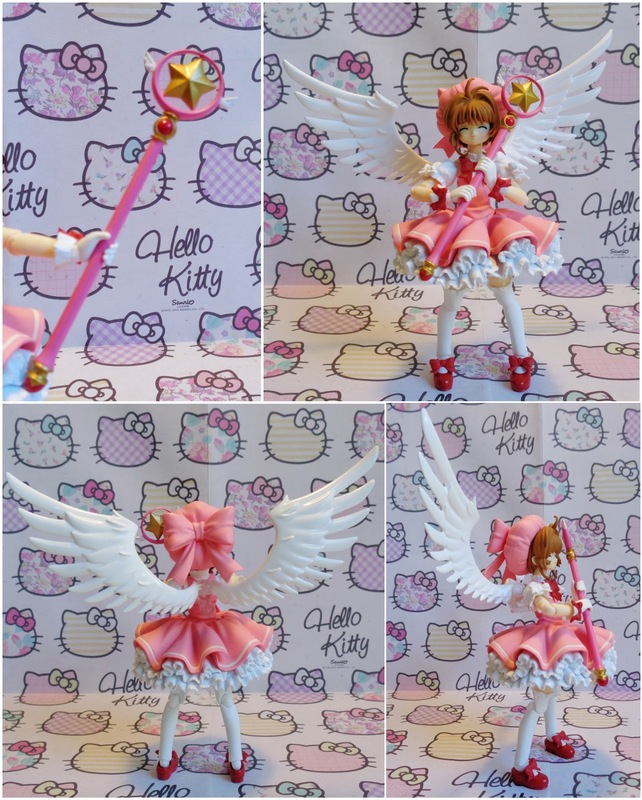 Overall regardless of some disappointments with the quality control I cannot help but be stoked with her as she comes with both Clow and Sakura Card accessories and she is super cute, capturing Sakura's sweet but determined nature very well.